Contains one playboard and two magnetic sheets. 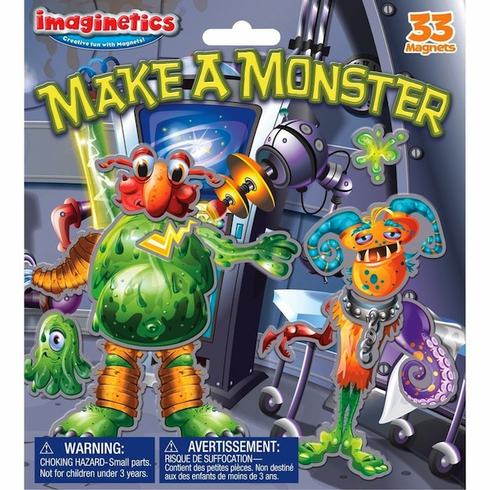 Thirty-three colorful pieces are included in this Monster themed set. Open playboard measures 14 1/2" x 8".